Please select your Dock Bed Size. Here at the Futon Shop we love these beautiful low level Dock Beds and their authentic oriental style, combining simple wood lines with tatami matting. 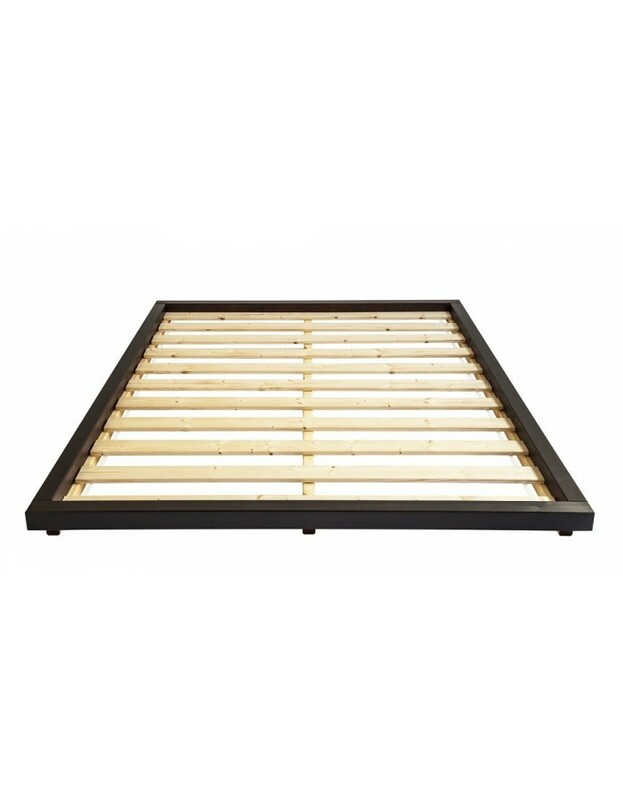 The timber frame is manufactured in FSC Certified (managed forest) Scandinavian redwood pine from Europe which is then finished in a Black satin giving it a dark contemporary look. 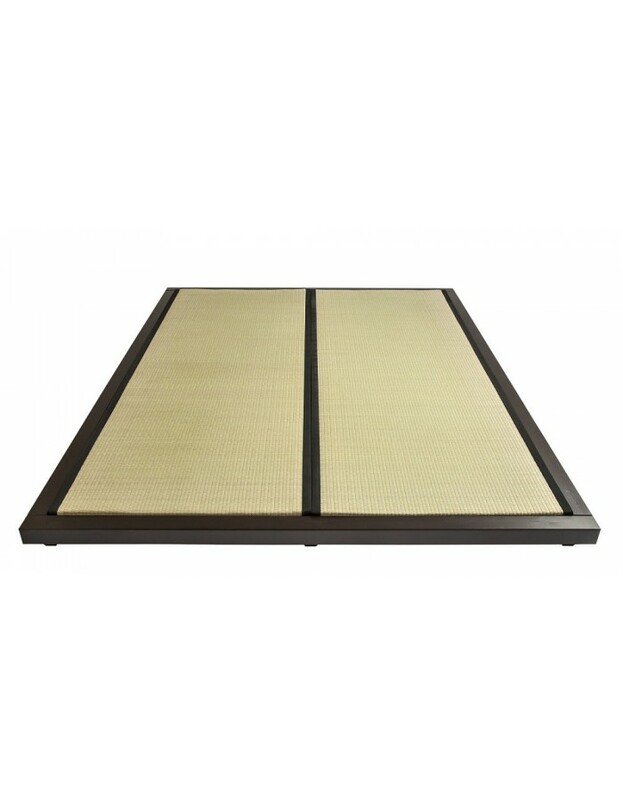 The frame is completed by the addition of a pair of Tatami Mats traditionally manufactured with compressed rice straw and covered in woven sea grass with cotton edging giving a lovely clean contemporary style. 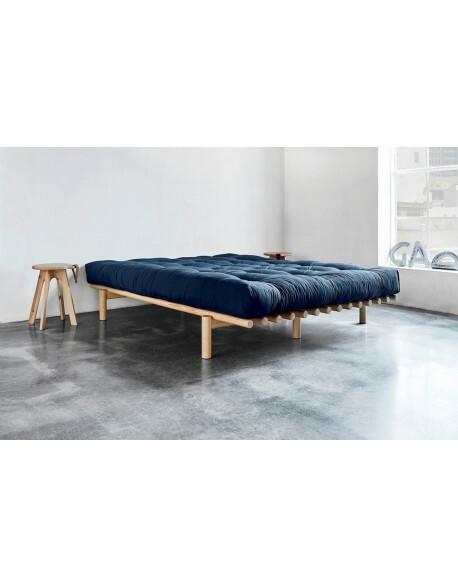 The Dock Futon Bed can be purchased, in a choice of two sizes, as a frame with Tatami only, or combined with one of our futon mattresses in a choice of fillings to suit your requirements. Follow this link for more information on our Futon Mattresses, then make your selection from the menu above. 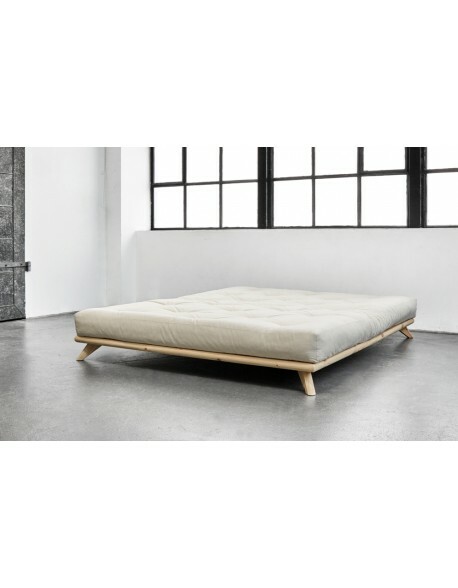 Please take careful note of the sizing of mattress / sleeping area in relation to the bed frame size, feel free to call us if you would like any advice with this selection. 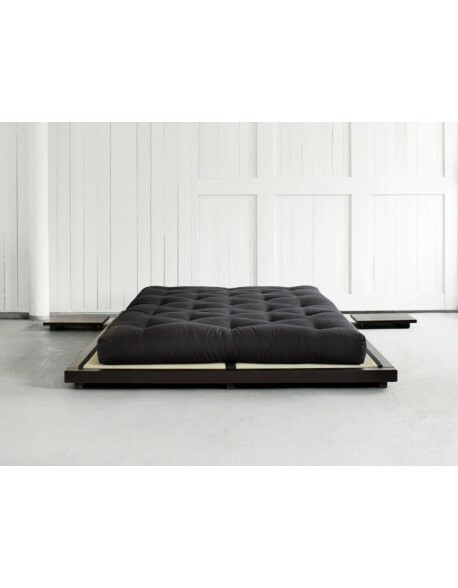 The Dock Bed also has the option of a pair of side tables as per the picture, please choose from the menu above. 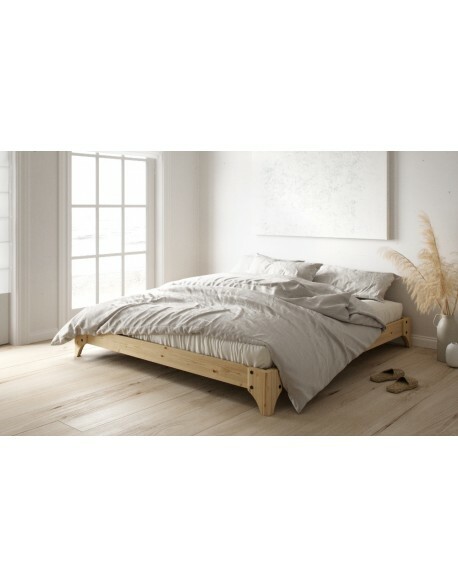 The Dock Bed is available from stock in both sizes for quick delivery. Height 10 cm to top of frame / 26 cm to top of mattress (approx). 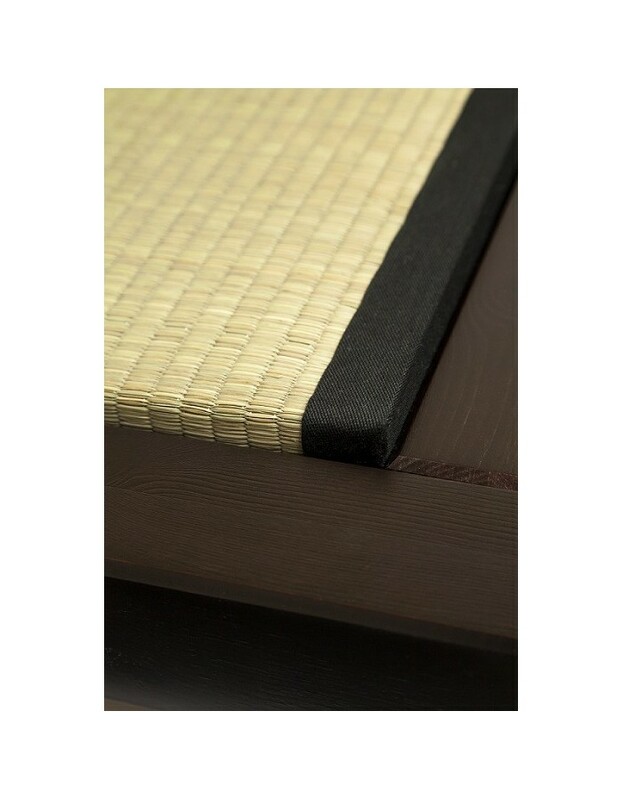 Futon frame materials FSC certified (managed forests) redwood pine timber frame and slats with black satin finish plus traditional tatami mats with compressed rice straw filling and Igusa grass covering. Futon mattress materials available with a choice of futon mattresses from our range or can be used with sprung or foam mattress types.